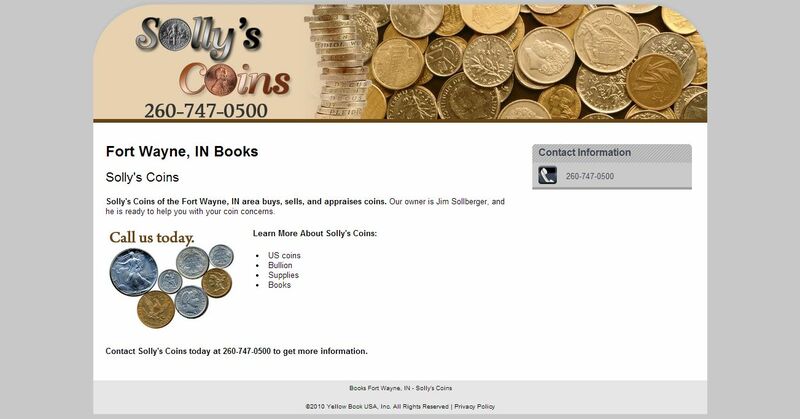 Solly’s Coins address, phone, website, hours of operation, and more. Solly’s Coins of the Fort Wayne, IN area buys, sells, and appraises coins. Our owner is Jim Sollberger, and he is ready to help you with your coin concerns.